No machine shop would turn down global industry leaders like Volvo, Renault, and Scania when they come calling with orders – even if it means pushing capacity and productivity to the limit. But in a labor market where recruiting qualified employees is easier said than done, it takes innovation to increase output capacity. Plus, with an annual revenue of just over 2 million US dollars a year, saying no to new business would mean limiting FT-Produktion’s otherwise enormous capacity for growth. Based in the southern Swedish town of Åseda, FT-Produktion has a diverse staff of 25 employees with roots in Sweden, Norway, Lithuania, Syria, and Thailand. Working in tandem with neighboring company Profilgruppen, FT-Produktion supplies a wide range of customers – including carmakers, construction companies, and the furniture industry – with metal parts used in the manufacturing of balconies, solar panels, electrical fixtures, and trucks. 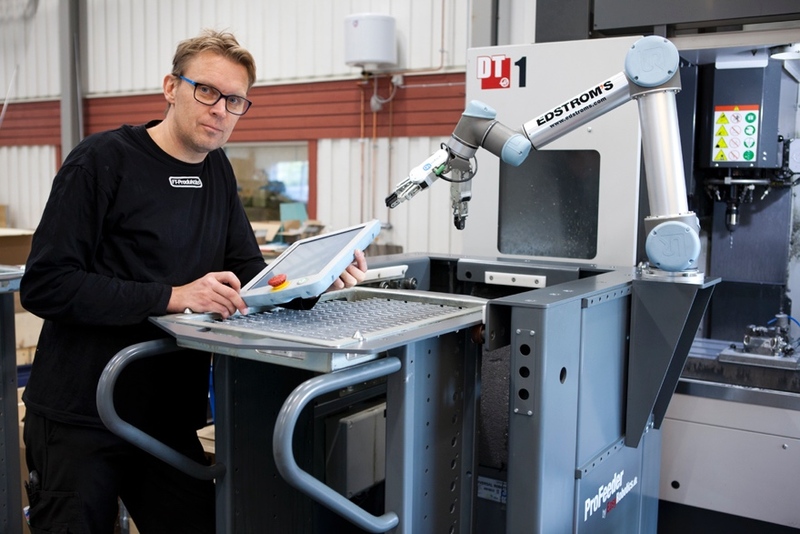 To meet growing market demand, the Swedish machine shop turned to specialized robot technology designed to meet the automation needs of small and medium-sized manufacturing businesses. The Strength of 3D Printed Carbon Fiber Parts vs Standard ABS Plastics – Request Your Samples Today!